Catherine Lavoie sees art in her soup, in her cereal, and in her ramen as well. Her daily life is an endless source of inspiration. 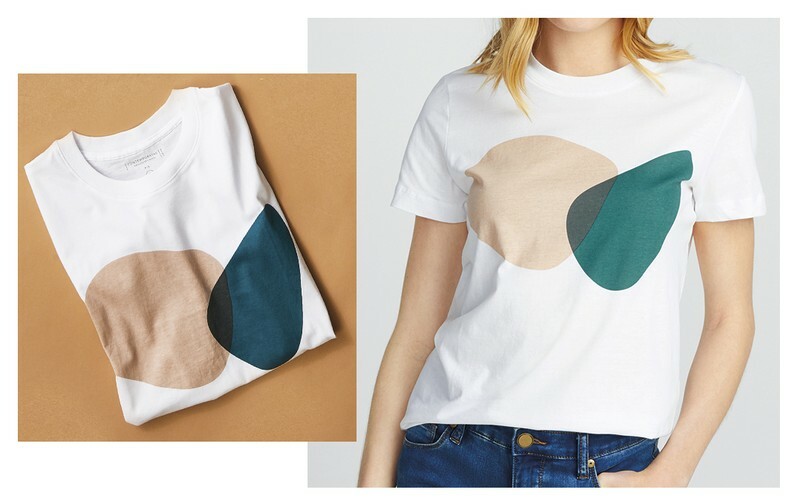 This spring, she shares her overflowing creativity with us in an exclusive collection of T-shirts featuring pretty, colourful, and minimalist prints that suit her to a T! Let yourself be won over just like we were by this artist and her artwork. Catherine creates whenever she can. 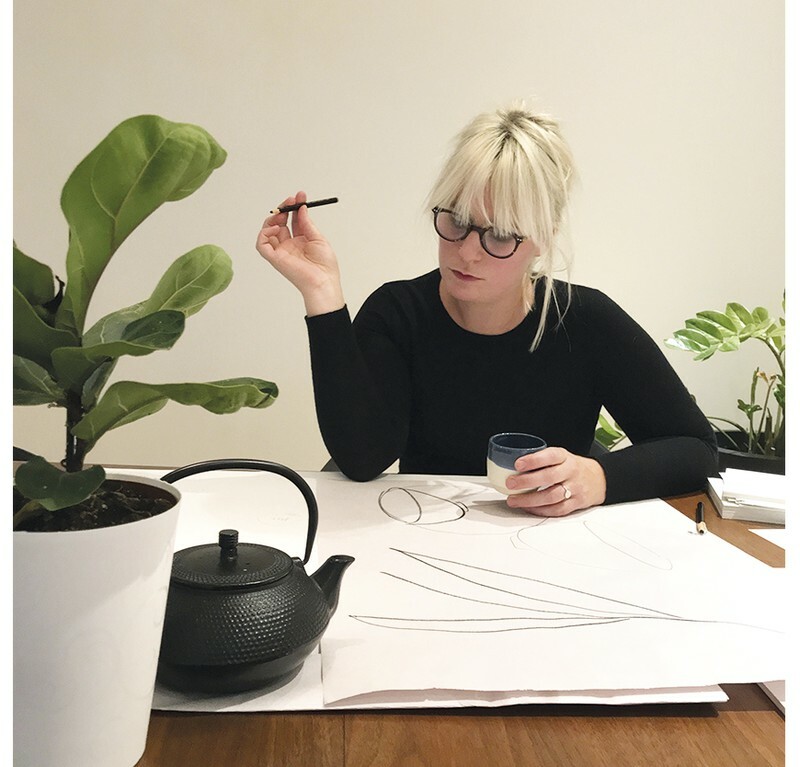 She doodles in her notebook, designs on her computer, makes pottery… In her converted in-home studio, every day has its own rhythm, but it’s always a beat that her imagination can dance to. And she loves that! A few years ago, Catherine left her job as a full-time designer at Simons to devote herself entirely to her artwork. It was a leap of faith that she doesn’t regret. “Leaving everything to do what you love can be stressful, but you have to stay positive. Stress destroys creativity. You have to believe things will turn out ok and have faith in life.” Today, having been brave enough to take the leap and having persevered are some of her greatest sources of pride. Everything comes back to colours, since Catherine has a real love story with them. “When I was a designer, choosing colours was what I liked best. 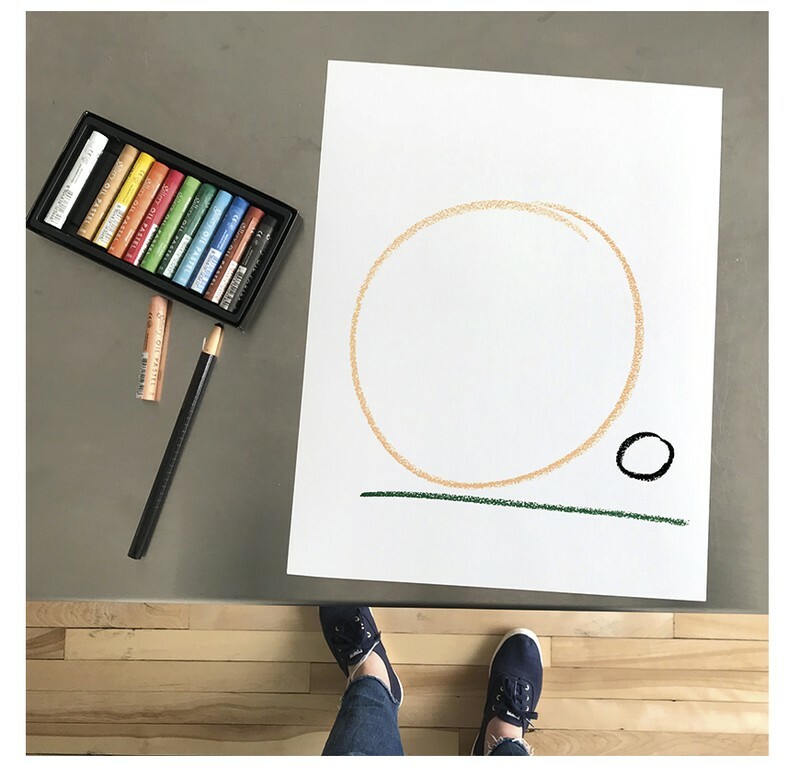 I was like a little kid in a candy store when I got palettes and saw all these different possibilities.” We’re not surprised to learn that when Catherine was young, she could spend hours playing with the Paint program on her Windows 95. This young pro at designing on the computer is now positively thriving. Creativity even follows Catherine into her wardrobe. Her style is all her own, being at times minimal and at times very colourful. For her, colour blocking isn’t just a current trend. She’s always loved to wear bright, contrasting shades. 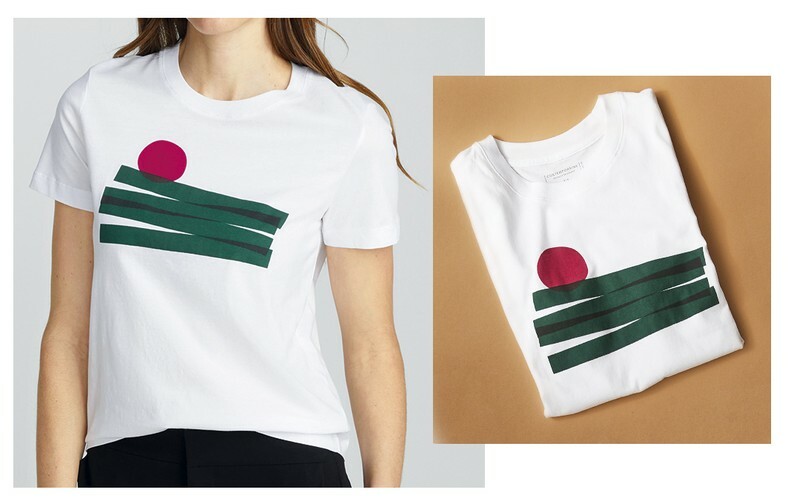 In the summer, she enjoys putting on vivid geometric prints, like those found in our Bauhaus Studio collection at Twik, as well as sleek and original motifs, like those of Marimekko. 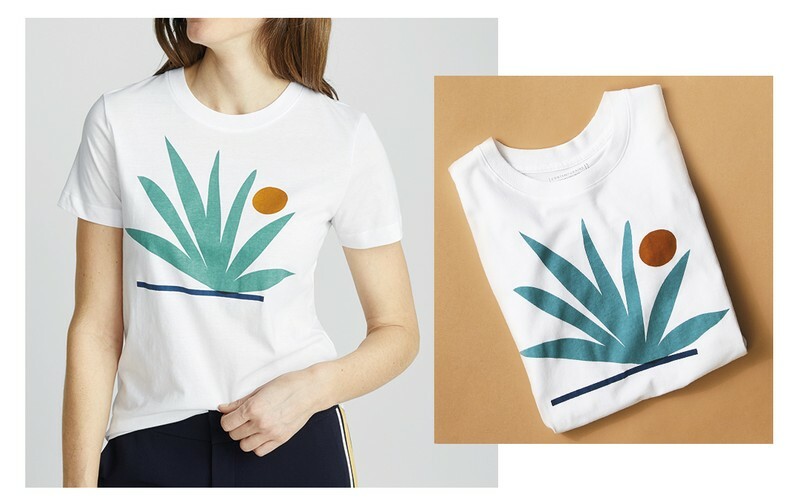 For our Contemporaine team, it seemed completely natural to entrust this artist and fashion specialist with designing the illustrations that decorate our new collection of organic cotton T-shirts. We gave her carte blanche. Five illustrations were finally chosen that are distinct, but still share the same sleek, colourful, and fresh aesthetic. Each one was first drawn by hand, and then replicated on the computer. Here they are! A harmonious work of art, despite the dissimilarity of its elements. A delicious and tangy illustration of summer flavours. A digital collage that explores balance by playing with transparency. A stylized landscape that's sunny and warm. Are you inspired? 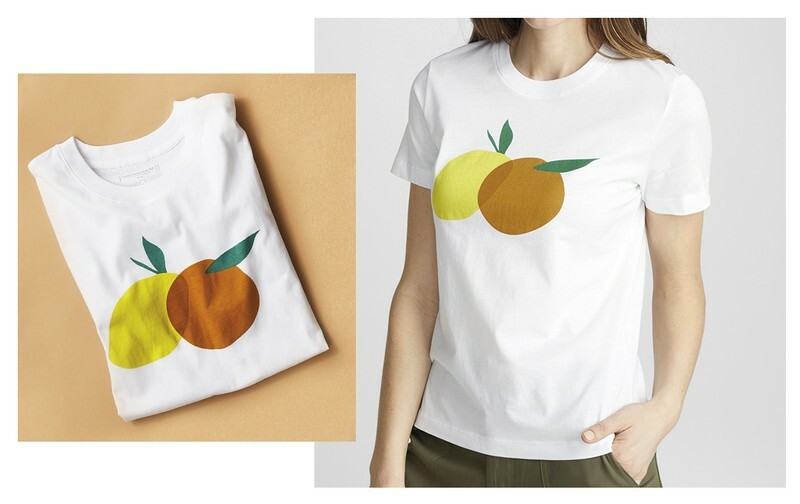 Shop the T-shirts right here. In the future, Catherine would love to see her designs on blankets, tablecloths, and rugs… Who knows? Maybe you’ll see them soon in our Simons Maison department. 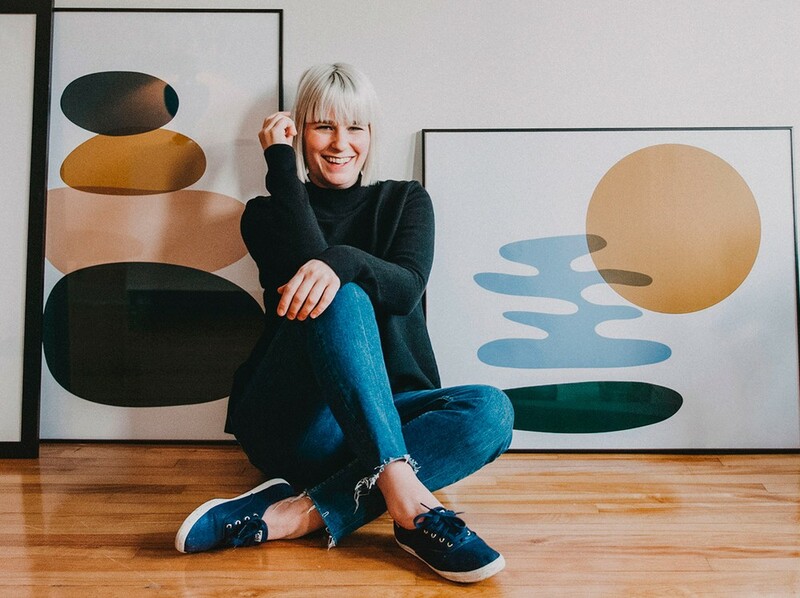 In the meantime, you can add her artwork to your decor by visiting the Online Only art section on our website or by touring Fabrique 1840, our showcase of unique Canadian creators. 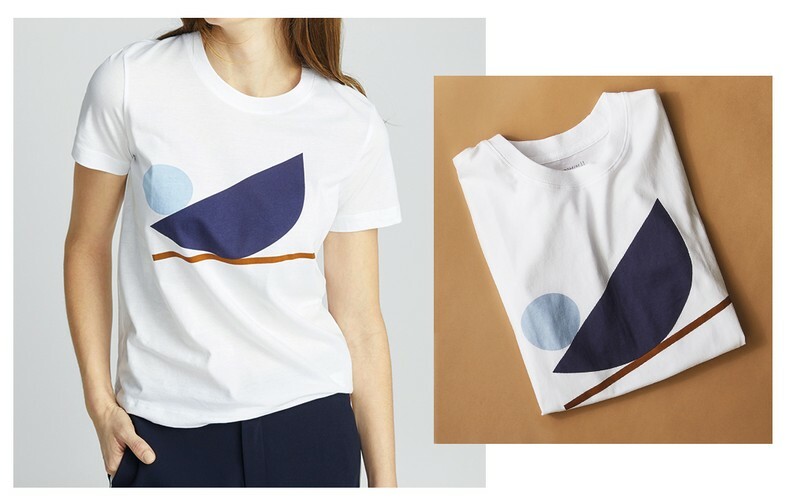 She has produced elegant, geometric illustrations inspired by pottery that are printed on top-quality paper in a limited series of 35 copies, all of which have been numbered and signed.